Vacuum cleaners have made life easier for the average homeowner. While it seems like a simple enough technology to use, most users fail to make full use of vacuums. 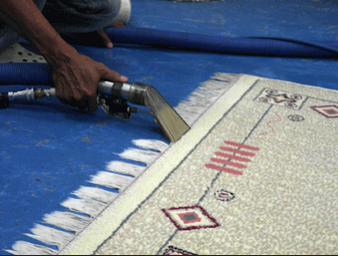 Mishandling of the machine can result in premature wear and tear and cause the vacuum to malfunction. Before you head off to buy or use your next carpet cleaning appliance, here a few tried and tested considerations to think over. A dazzling array of vacuum attachments may exist; it is advised that you get the ones that will be useful to your flooring plan. The hardware shop assistants can guide you towards useful attachments such as the super handy, extension wand (for hard-to-reach places). Never vacuum in a hurry; if pressed for time, it’s actually better to forgo the activity altogether. Hasty, rough motions can be terrible for your carpet. The best way to vacuum is with slow, gentle, and overlapping strokes. Vacuum cleaners are the single most expedient home appliance you can own. Most lazy cleaners like to subject their machines to all sorts of daunting cleaning tasks. For starters, pick up the large debris yourself and let your vacuum only pick the small particles. Lint, hair, and threads are the arch-nemesis of vacuum cleaners. They get stuck in the rotors and tubes, causing premature functional damage. The best way to deal with lint and flyaway pet hair is to use carpet brush to remove large lint-like objects. A nifty tip is to use hairbrush bristles on the edge of carpets for a better and expedient result. Self-cleaning filters do not exist yet; ergo it falls on the user to empty out vacuum filters scrupulously after every use. An unorthodox tip is to tie a plastic bag around the tube for easy disposal after use. Canister-style vacuums have cup or filter bags that can get smelly. Thus, you can also vacuum pieces of tissue paper doused with perfume. This will actually result in a better smelling home. Instead of sticking extension wands in impossible places, it is advised that furniture around the house be adjusted from time-to-time. Moving couches and other furniture can save vacuuming effort and also extend your carpet life.